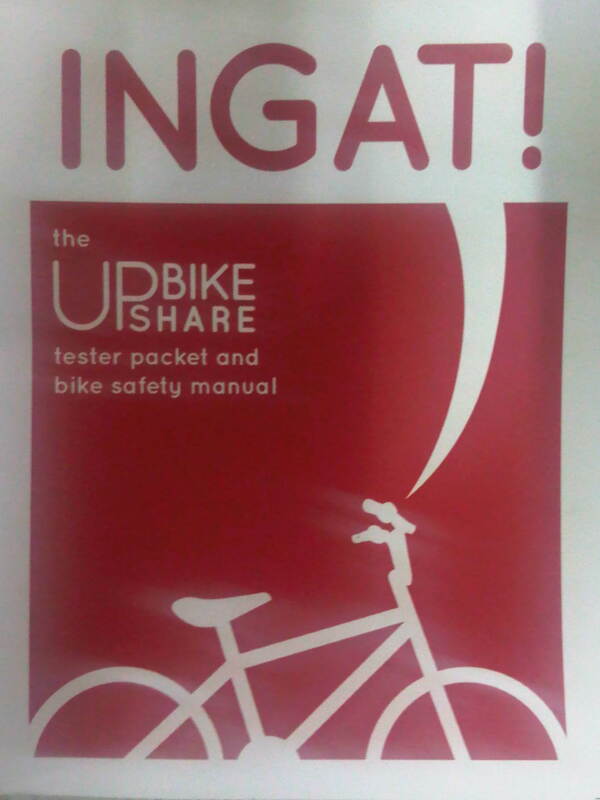 Students of the University of the Philippines Diliman recently launched an initiative promoting bicycle use in the campus. 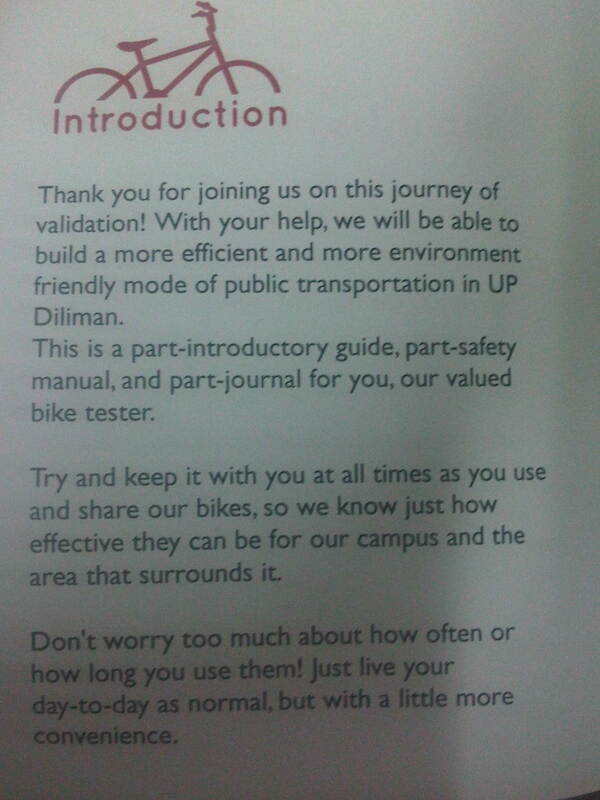 The UP Bike Share initiative is a welcome initiative that has gotten the support of the community including the UP Diliman administration through the Office of the Vice Chancellor for Community Affairs. Here are some photos of pages of the packet/manual. This is an initiative that hopefully will expand especially towards Katipunan and the major schools (Ateneo and Miriam) along that corridor. 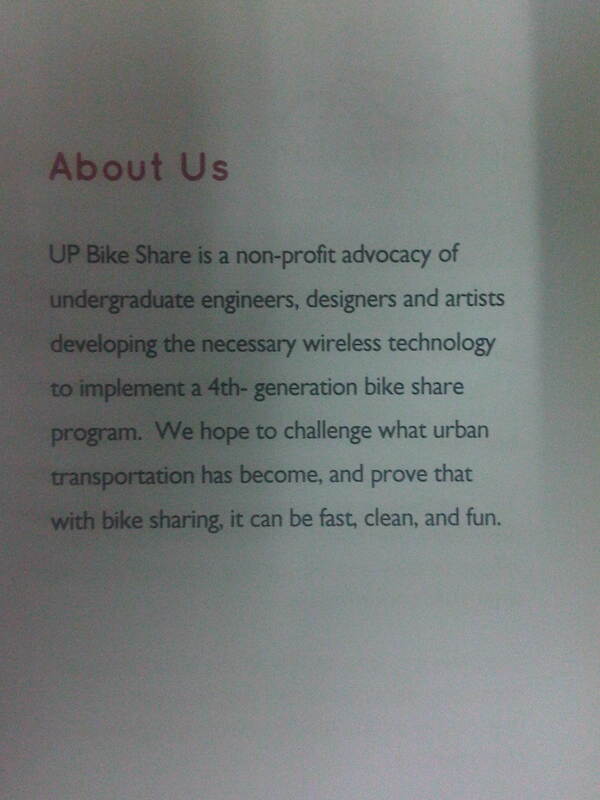 Perhaps even Teachers’ Village and Sikatuna will be part of a bike share community. It would be nice to see safe bikeways and people on bicycles not just at UP Diliman but a larger area that can benefit from reduced motor vehicle traffic. 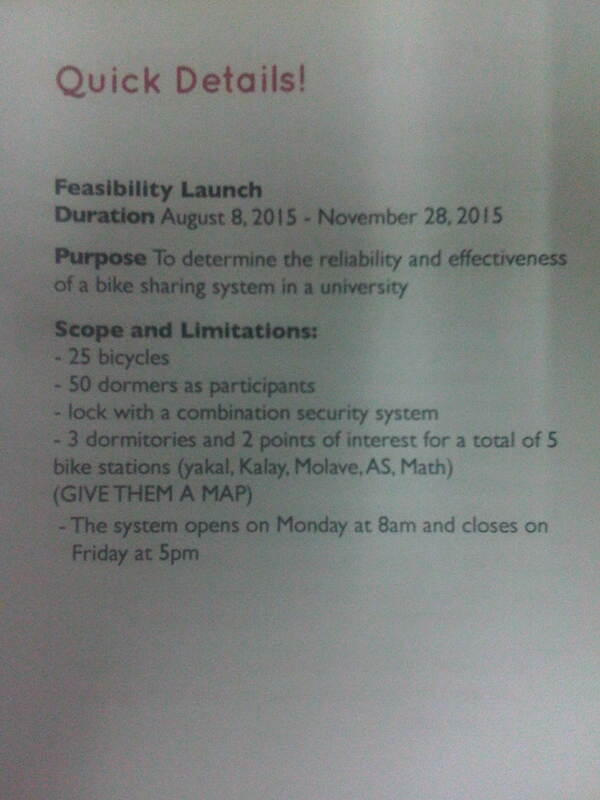 By d0ctrine in Cycling, EST, Policy on September 4, 2015 . This reminds me of a university somewhere in the US, I found out about it through someone else’s blog. I’ve always wanted something like this in my city. I really want to push for my city to be more cycling friendly and open a city bike tours to some of Cebu’s historical sites. So many ideas and plans. Ahhhhhhh! I recall that there were groups calling for bikeways or sharing the road in Cebu City. They might well consider coming up with a bike sharing initiative to promote cycling there.